Two days ago I bought a Victorian couch at a local thrift store. Armed with a staple gun, awesome fabric, and a dangerous amount of amateur skill, I began to skin the beast of its once-pink velveteen. 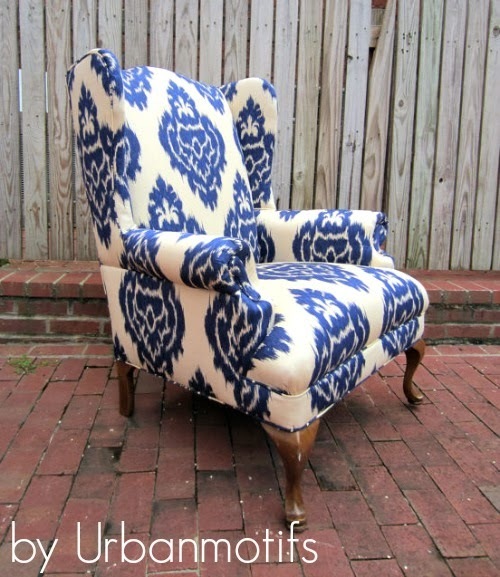 I have reupholstered furniture before but none as stubborn as my latest project. Let's just say it's a plethora of exotic scents and angular challenges that have me vowing to surrender all future projects to the experts. 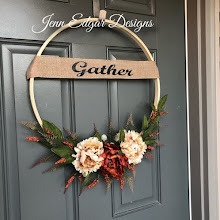 These Etsy up-cycle artists are experts with the knack for creating instant-heirloom furniture for every décor style at prices way below average offerings of big box furniture stores . Pristine seats from yesteryear can be found at ModernVintageMixHome. 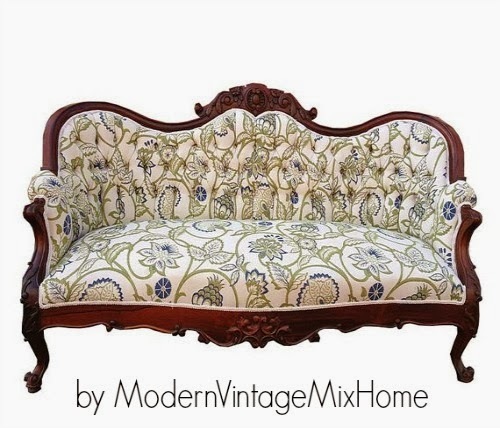 Vintage elegance and mid-century design meet up-cycling sensibility at very attractive prices! 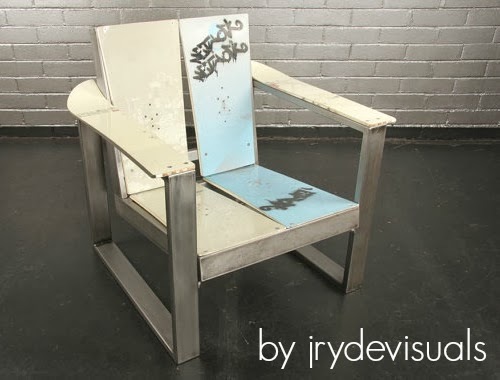 Old snowboards get a second chance at jrydevisuals where old skates and boards become stunning durable chairs. Described by the artist as urban minimalist, these chairs are perfect for both indoor and outdoor spaces. 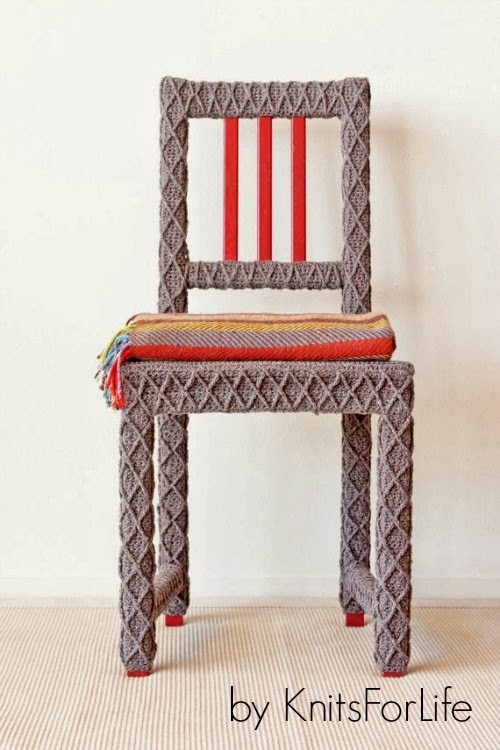 Add instant conversation to any room with this knit-covered chair from KnitsForLife. Her colorful shop is a welcome sight for winter weary eyes! 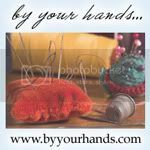 Buy any handmade item from this artist and she will return the favor by planting a rainforest tree. Classic designs get a sassy up-cycle at Urbanmotifs! All discarded chairs secretly wish to land in this artist's workshop to be made new with vibrant fabrics and expert craftsmanship. If you're lucky enough to be local to Atlanta you can have a custom piece made specially for your home. 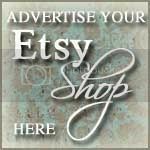 To find more fabulous up-cycled furniture search recycled furniture on Etsy.